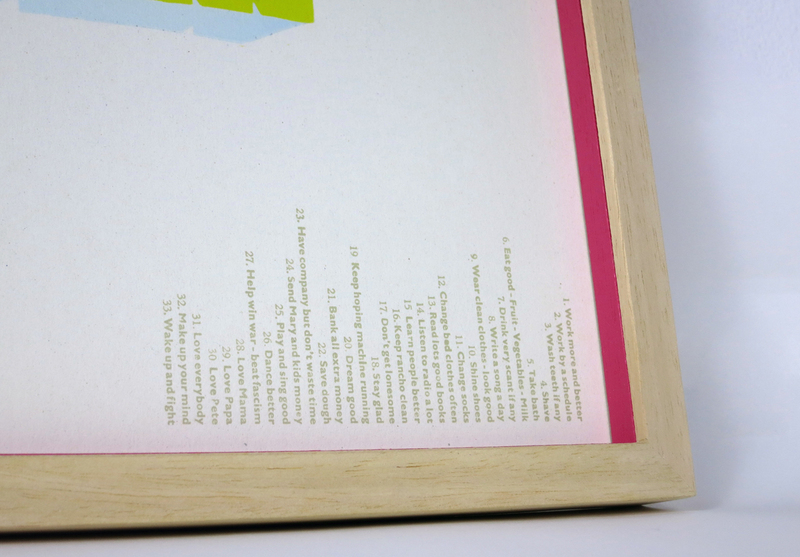 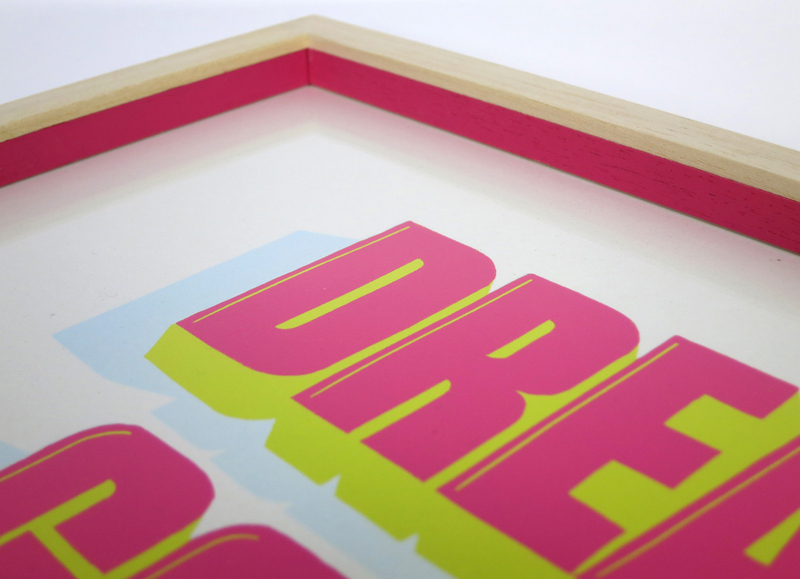 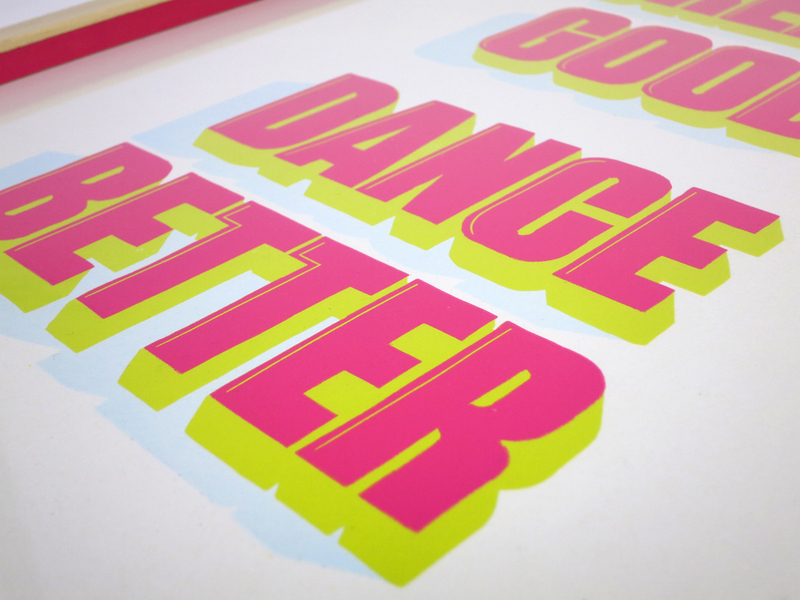 ‘Dance Better’ is part of a Woodie Guthrie inspired series of typographic letterpress prints. 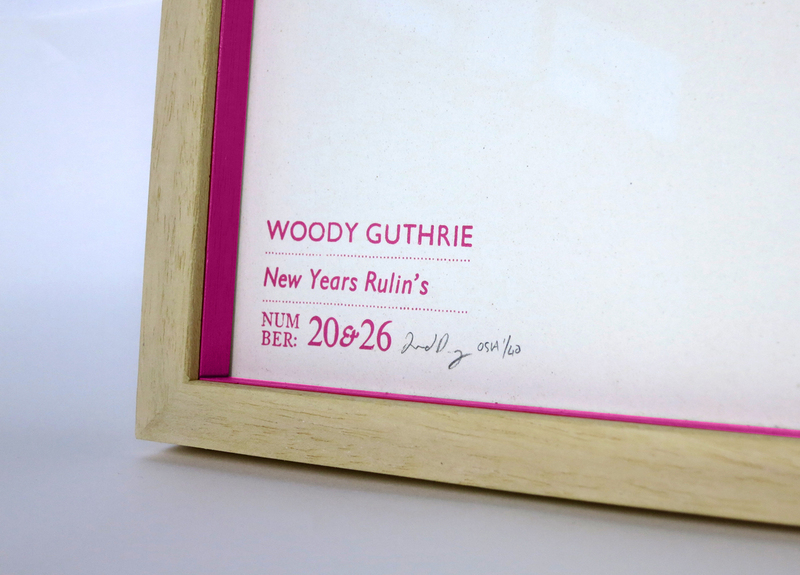 Taken from his list of resolutions which he called ‘New Years Rulin’s’ made just before January of 1942. 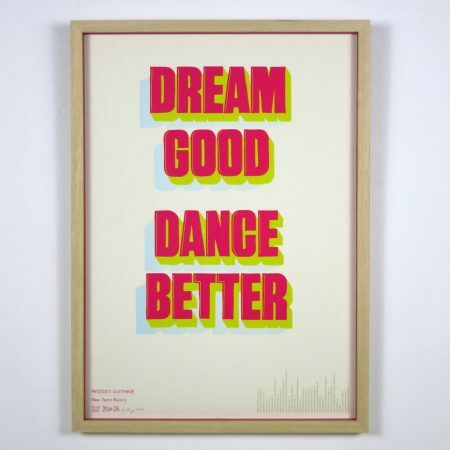 Great advice from a great man.